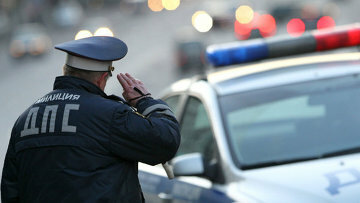 Russian government proposes to revoke licenses of drivers when alcohol detected in blood | Russian Legal Information Agency (RAPSI). MOSCOW, September 1 (RAPSI) – Russian government has approved a bill introducing administrative liability for driving under influence when alcohol is detected not only in exhaled air but also in the blood of a driver, the government’s statement reads on Friday. According to the bill, administrative liability is to be enforced if a driver’s blood is found to contain 0.3 or more grams of absolute ethyl alcohol per liter of blood. At present the Russian legislation lacks provisions envisaging responsibility of drivers regarding the presence of absolute ethyl alcohol in blood of drivers. The Russian government believes that this legislative gap allows intoxicated drivers to escape responsibility and is a factor negatively affecting road safety. 12:56 01/09/2017 Russian government has approved a bill introducing administrative liability for driving under influence when alcohol is detected not only in exhaled air but also in the blood of a driver.